What saves a person is to take a step. Then another step. I enjoy the part of travel where I meet people. Those essential moments of connection with a stranger who after a few minutes of conversation is no longer strange. Today I met a young man who is a professional basketball player. If you recall in my last newsletter I spoke about meeting a different young professional basketball player. Hmmm, I wonder what this means? Hahaha… read the article here to get the joke. I asked Cory how it is he became successful at what he does. He said he learned to channel his frustration into disciplined action to do better, and better and even better than that. As he is speaking, I’m imagining Michael Jordan on the court practicing over and over again, developing his skill through practice. My mind began to do its search engine thing looking for how what Cory was speaking was applicable to my life. How might his words serve me and, well, all of us? I don’t play basketball. At 5’2” no one ever scouted me for the team. I do play the game of life though. In life, as in basketball, you have to show up for the game, get onto the court and participate. Participation means action. Action produces a result. Did I get it through the hoop? Yay me. Do more of that. Did it bounce off the rim? Hmmm, how can I do better next time? A key is knowing what I want. I don’t much care about shooting hoops. I do care about being kind. I care about my relationship with my sister. I care about my clients. I care about becoming a better ‘follow’ as I take swing dance classes. I care about my health, and so on. What does getting it through the hoop look like in each of those examples? That defines my vision, which calls me into practice. Human beings are also human becomings. Growing into next involves making mistakes, as it is a process of learning. If you already knew how to be what you want, you would no longer be wanting it. You would already be that. For me, there is emotion that comes with making mistakes. I don’t like it at first. It’s no fun to have the lead want to turn me this way and for me to go that way. Ugh. The mind begins to chatter. I feel frustrated and embarrassed. Cory reminded me that a key is to have the discipline to make use of e-motion. Energy in motion. 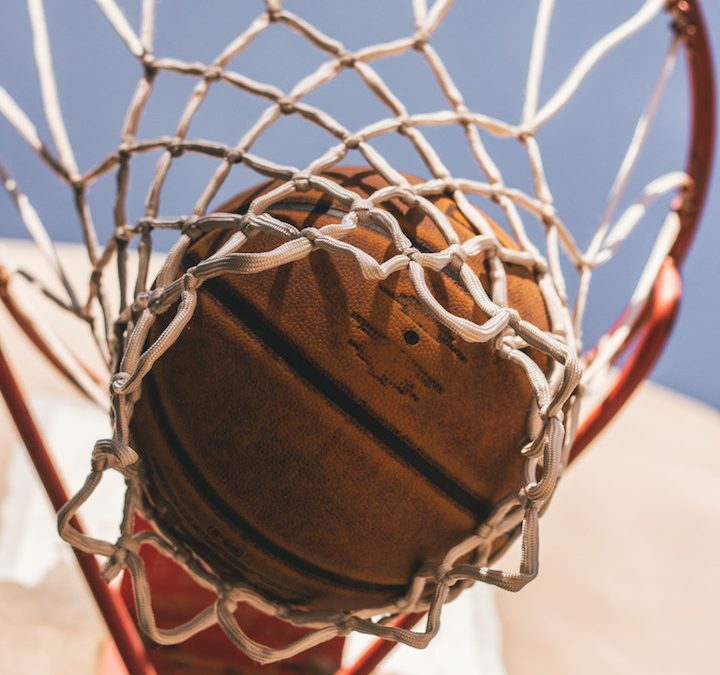 Instead of letting the mind feed off the energy that is moving, why not invest it in going back on the court, in the dance, and practicing some more. This is how we grow our lives, our selves, into the next best version. What about you? Are you willing to turn your upset into action and get back into the game of life and win? Win as in grow gracefully into the next best version of you?